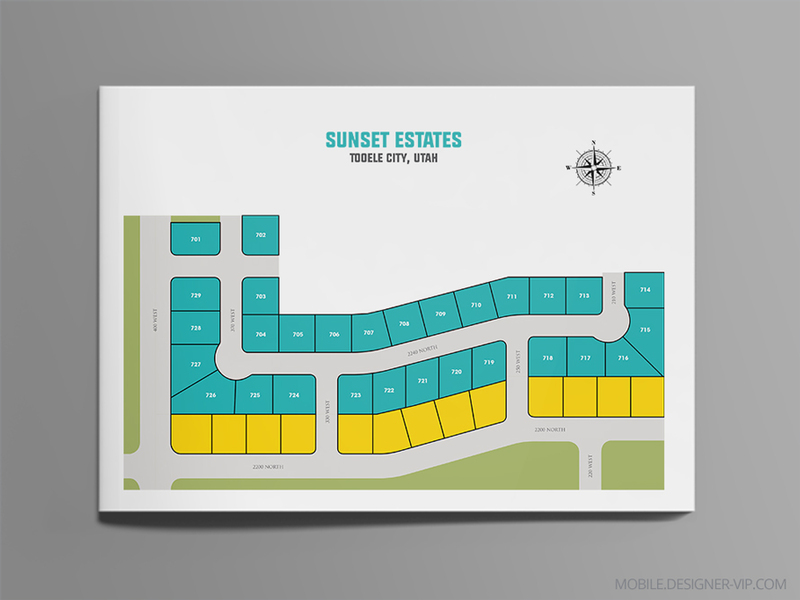 Design Real Estate plat map Sunset. I need to design a neighborhood site map for marketing purposes. 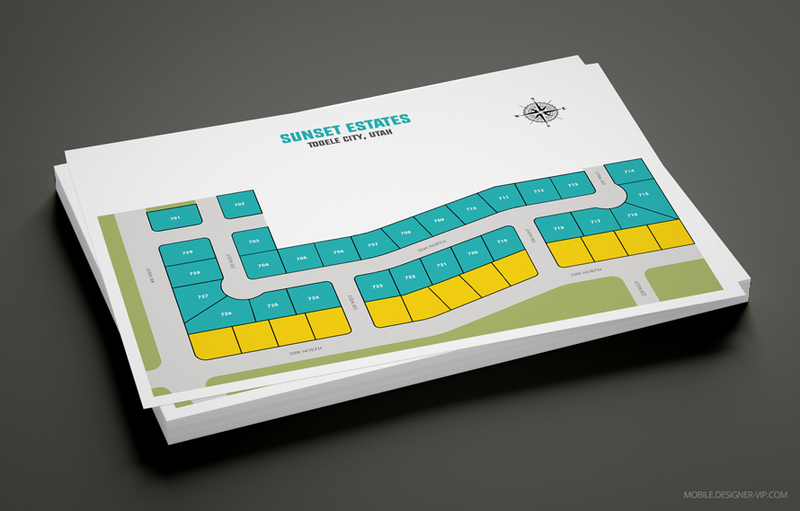 The attached subdivision CAD file is the subject neighborhood. I’d like it to look more like the sample attached. This flyer shows the neighborhood and the lots. Look this for a more detailed document. LOCATION: Sunset is located in Tooele, Utah. Drainage Note: Drainage Easement areas are perpetual, non-exclusive, mutual cross drainage easements for purposes of storm water capture and conveyance on, over, upon, and across the areas delineated as Drainage Easements. Each lot encumbered by a drainage easement shall, at its sole cost and expense, maintain and keep all above and below grade infrastructure and appurtenances in a reasonable condition and state of repair, no obstruction or changes in grade shall be located within the easement areas that will impede, divert, or cause the runoff to have an adverse effect on adjoining property. On lots 31-34 and 41-46, all roof drainage must be routed to the street right of way. The following note is not endorsed or adopted by company and does not supersede conflicting plat notes. Company approves this plat solely for the purpose of confirming that the plat contains public utility easements. Firm may require other easements in order to serve this development. This approval does not constitute abrogation or waiver of any other existing rights, obligations or liabilities provided by law or equity. This approval does not constitute acceptance, approval or acknowledgement of any terms contained in the plat, including those set forth in the owners dedication and the notes and does not constitute a guarantee of particular terms of natural gas service.